We’re well into the digital age and there’s not much that needs to be said to convince you about the impact that social media has had in our lifetime. What started as a cool platform for friends and family to connect has grown into an online phenomenon that consumes the lives of people worldwide. 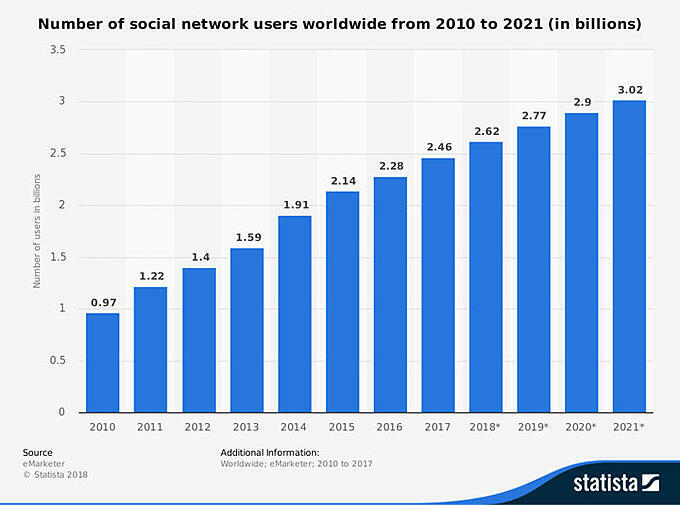 There are currently over 2.6 billion social media users in the world (see chart below). In 2021, that number is expected to climb to over 3 billion. North America is the region with the most users as a reported 66% of the population has social media profiles. In the United States specifically, 81% of people have social media profiles. What do all these numbers mean for your small business? 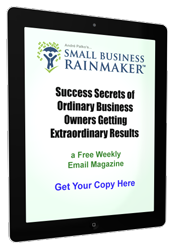 It means that right now, your potential customer is online. If you can create the right social media content to engage with them and make them aware of your product or service, this will mean more leads, subscriptions, and sales for you. You’ve done your research and understand the powerful tool that is social media. But there’s just one problem – as a small business owner you have limited time and resources. There is no time to be on Facebook, Instagram, Pinterest, LinkedIn, Twitter, YouTube and every other available platform. 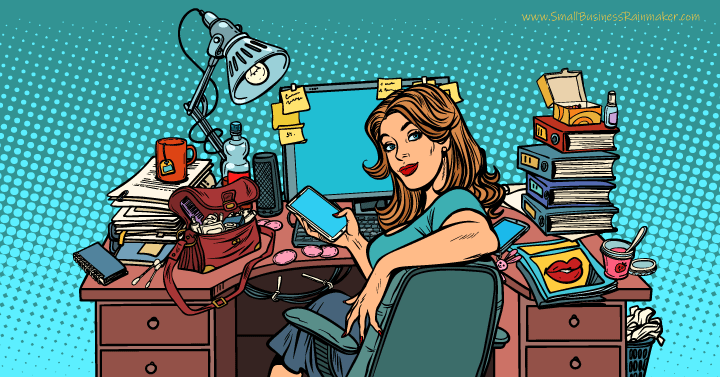 Constantly being online and engaging with target audiences while also attending to the day-to-day tasks of running your business is just unrealistic. So what do you do? 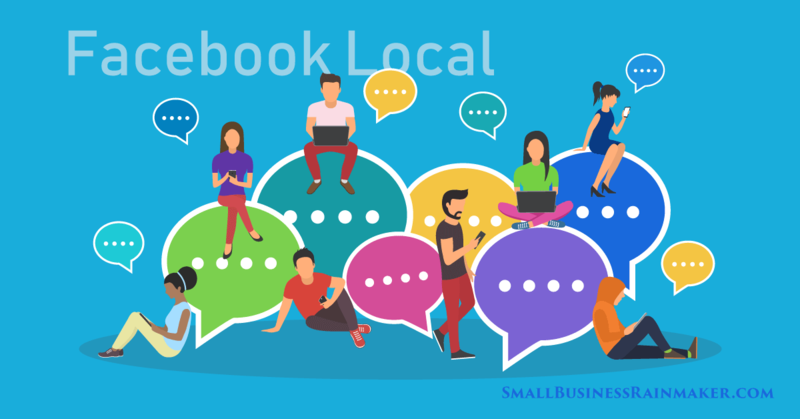 Well, most small business owners resort to either spending too much of their time online or they concentrate more on running their business and forget about selling themselves. Finding a good balance is therefore a challenge. Before we discuss how to manage your social media and business, it is important to highlight why you need it in the first place. We’ve already covered how this is the one platform where you can instantly reach a multitude of potential customers. What makes social media extra special is that it allows for a two-way communication platform where you can instantly be aware of what your consumers like and want more of. It is also an excellent way to grow your brand, particularly for small businesses. Even though it can be time-consuming, marketing through social media is still much more cost effective than traditional advertising. 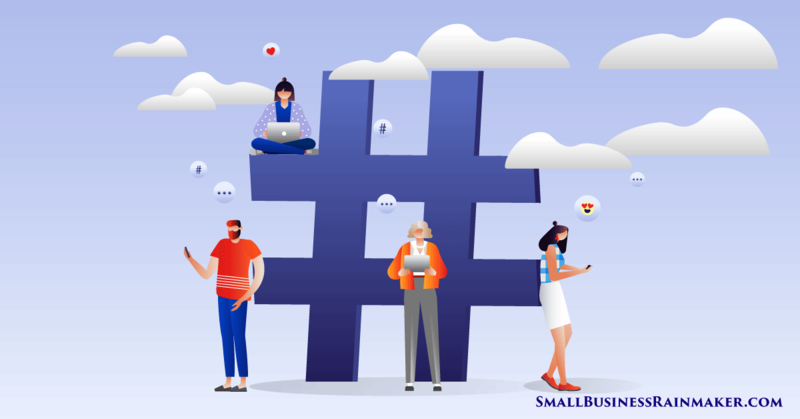 How can Small Businesses Manage their Social Media? 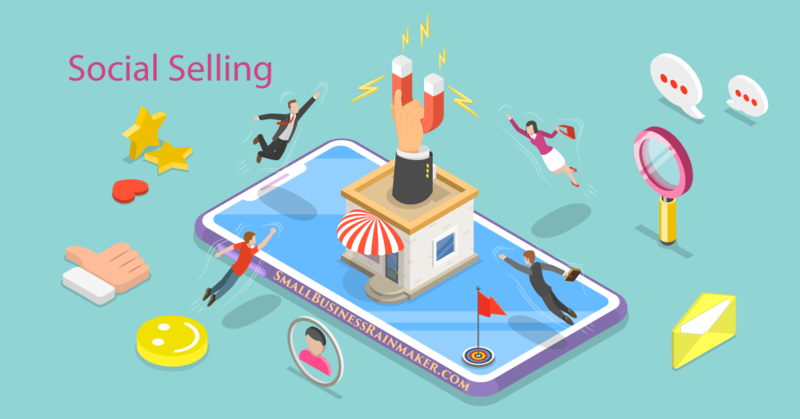 Now that you are clear on why you need it, let’s get down to how to make sure that you’re connected to your audience while also effectively running your business. There is no need to have every social media profile under the sun. Look over the previously listed platforms again. Unless you’ve secretly discovered a way to extend your 24 hours of the day, you are just not going to be able to keep up. The best thing to do is to decide which platforms your business needs. Thoroughly evaluate your target audience and then figure out where you can find them. For instance, 45% of women online use Pinterest and what’s most interesting is that it is popular across different age brackets. This means that if your product or service is geared at the female consumer, you need a Pinterest account. Evaluate your target audience, look at the stats, and then narrow down the platforms that will be most suitable for you. Yes, you’re trying to get your target audience’s attention by creating content for them to share online, but trust and believe that if there’s not much substance to it, all you’ll be doing is hurting your brand. You want to create content that is engaging, innovative, and unique. Quality content is always king. Creating and sharing a few high-quality posts rather than a million “meh” posts will help save you time and also make sure that your audience is receiving only the best from you. A social media calendar will just make life a little easier. Let’s say it’s #NationalPizzaDay and you own a pizzeria. This would be the perfect day to have a special or to create and share videos, photos or any other content to be shared online. How would you know it’s #NationalPizzaDay while busy running your business? From your social media calendar. Think of it as a tool to help you plan and create your social content in advance. You determine your posting frequency, highlight important dates (like #NationalPizzaDay) and plan quality content for your audience. You can either create the calendar yourself through Excel or Google Sheets or download a template for free online. What’s most important is to have a strategy for when and how you’re going to engage with your target audience. Once you know this, you’ll know when to dedicate time to managing your platforms and when to concentrate on running your business. We spoke about quality content earlier and this is extension of it. Whether you decide to have daily, weekly or bi-weekly blog posts, you want to make sure that each post resonates well with your audience and is always polished and professional. A ghostwriter can make that possible. They can instantly take this time-consuming task off your plate. You can search ghostwriters for hire in your niche market and find the perfect writer who can create engaging content that your audience will love to consume and share. A strong social media presence should not be an afterthought for anyone trying to grow a business. There is a lot of competition out there, and you need a digital marketing strategy to make sure that you’re reaching the right people and creating content that actually matters. The above-listed points will ensure you’re connecting to your audience while also freeing up some of your time to attend to the other important things on your long to-do list. Our guest author Khanyi Molomo is a copywriter and content writer who specializes in creating online content for small businesses and startups. She founded Iconic Writing and helps companies create newsletters, blogs, and web copy that is engaging and relevant to their target audiences. 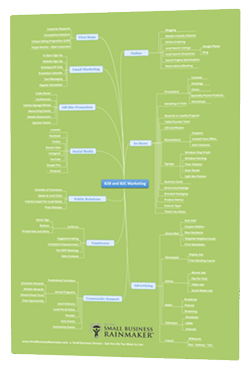 This increases their leads and improves their online visibility.